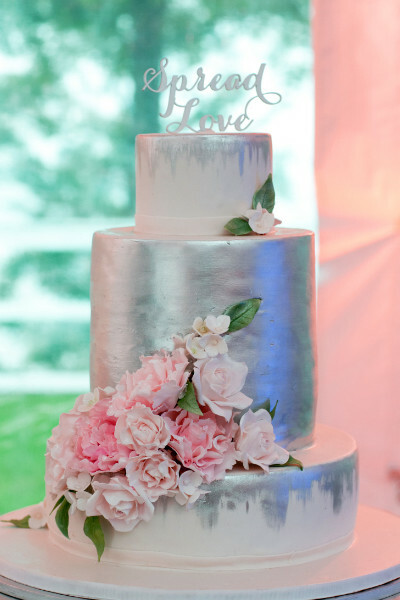 Your love, your day, your custom wedding cake. Get ready to savor the experience! How Can We Help You Begin Your Sweet Journey? Thank you Denise! The cake was amazing, everything was awesome. You did an awesome job and we've been recommending you to everyone! Everybody asked about the cake! Wow! Thank you so much for all the hard work that you did to make our cake so beautiful and delicious - every flavor was on point!!!! OMG Denise!!!! The cake was amazing!! I mean to die for. I have no words to describe it, I felt bad to actually cut it when the time came. It looked so beautiful, so perfect, just like I had envisioned it. It tasted even better, if that is possible. I tried all three layers. I'm so happy you decided to quit your job as a lawyer to do this. I will forever order every single cake from you for all our events. Thank you so much for helping to make our wedding day so wonderful and so special. Denise was an absolute pleasure to work with! She has hands of gold that turned my dreams into reality. She not only executed my dream wedding cake according to images that we sketched, but created the most decadent cake I have ever sunk my teeth into. 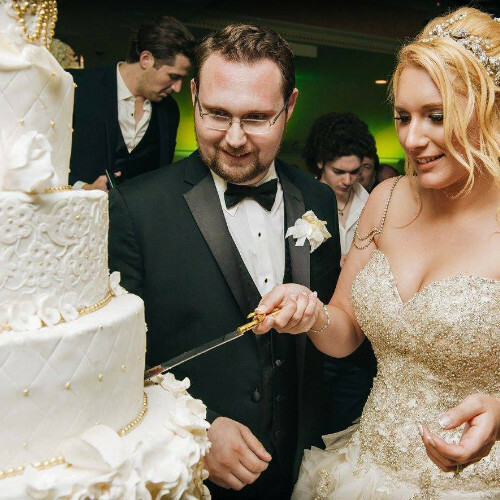 Our guests could not stop raving about how beautiful and tasty our cake was. I highly recommend her to anyone who is in the market for a dessert master! We cannot thank you enough for everything Denise!! The Garrison, Garrison, New York. We couldn't have had a more pleasant experience with Denise! She was so accommodating throughout the whole process. Everyone agreed our cake was the most delicious cake they ever tasted! Your cake stole the show!!!! It was just perfection. We still talk about how beautiful and delicious it was. You have such a special gift and your talent combined with your care and professionalism are truly incredible. Something is missing, I thought. A wedding cake should be a lot more. A wedding cake should be special. A fresh, completely delicious and unique work of art. Well thought out. Crafted with care. A beautiful centerpiece at a reception. Proudly served to your guests. And so My Daughter's Cakes was started with this seed idea - my desire to create an exceptional custom wedding cake experience for couples and their loved ones. Since then, My Daughter's Cakes grew into a destination for those who desire extraordinary taste and design for their wedding cake. We focus on you, your cake, your day. This is what our clients and their families have come to love and trust for many years. 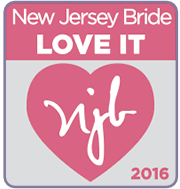 My Daughter's Cakes is also proudly recommended by New Jersey wedding venues and wedding planners. 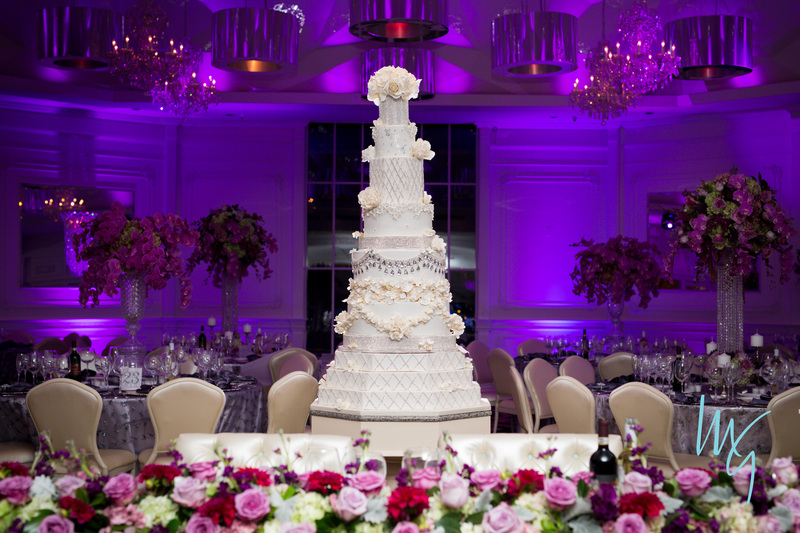 It starts with a conversation and some inspiration, and from there, we transform your vision into a stunning cake! We'll meet for a private cake tasting at our fully-licensed bakery and cake parlor located in Dumont, Bergen County, New Jersey. We're convenient to all major highways in the Northern New Jersey - New York City - Westchester County - Hudson Valley areas. 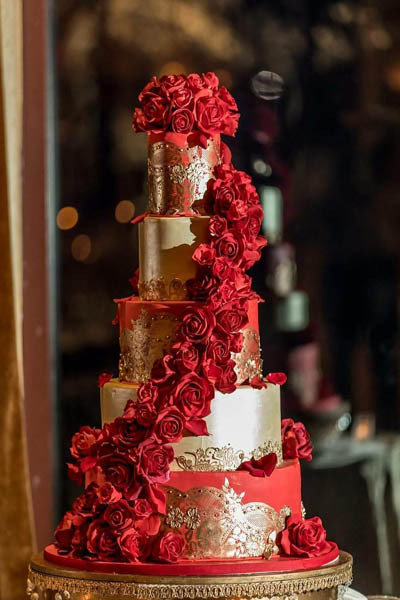 So that we are able to provide a personalized experience for every client, we accept a limited number of cake orders and only one very large and/or very detailed cake per date. Toss those wedding planning checklists aside. 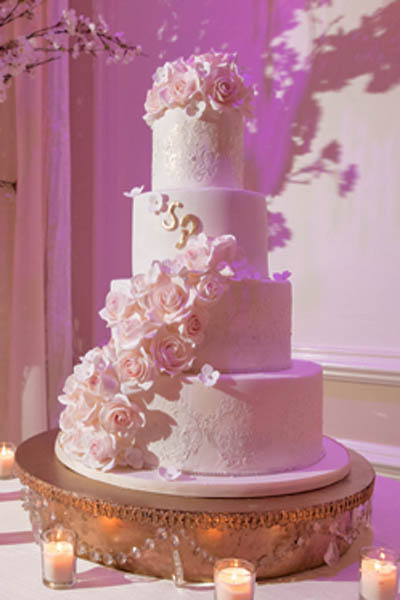 We encourage you to get started with your wedding cake consultation early in the planning process. Inquire about our availability and schedule your consultation today! 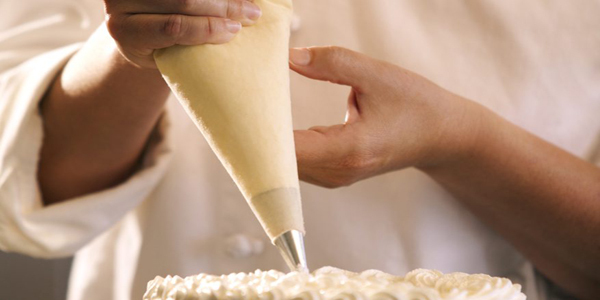 Tiered custom cakes require special handling. We use weather-resistant boxes with an anti-motion system to transport our cakes. A member of our team will always be onsite for your delivery, ensuring additional peace of mind for your extraordinary cake. 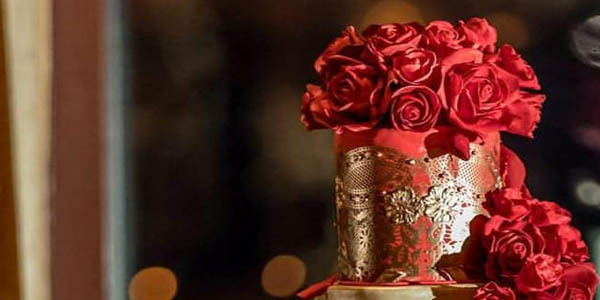 I am looking forward to working with you to make your day special! 'The talent, professionalism and dedication she showed the entire time we were planning and right down to the day of, was truly one of kind. She cares and really wants it to be as special as you do." with my wedding cake designer." 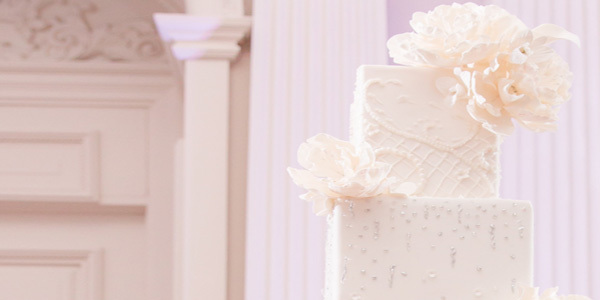 Your Consultation: Get excited about your cake! You have always wanted your wedding cake to be special. And you're looking for something different. This is something that we truly understand and it remains at the heart of our work. My Daughter's Cakes focuses exclusively in wedding cake because we believe that your wedding cake should be as extraordinary as your wedding day. With no detail missed and flavor always a top priority, we will create beautifullly sweet memories long past that last delicious bite. 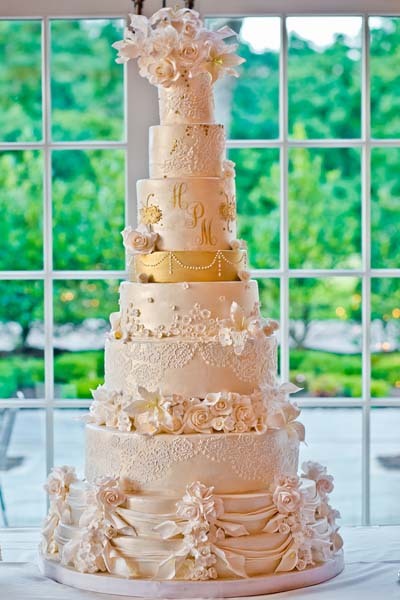 Do you have a clear vision of your wedding cake? Or, do you need a little inspiration? Let's set aside some time to get together, where we can get to know each other and explore your style, your desires and ideas. 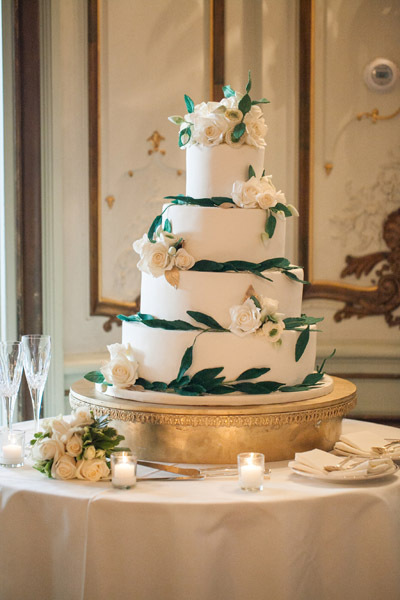 During this process, I can guide you through artistic options so that your cake will be everything you dreamed of. Your Cake Tasting: Ignite your senses! Bring your appetite and let's have fun with your cake flavors! For the cake tasting portion of our consultation, you will experience the taste, aroma and texture of our delicious cakes and fillings. This is your private cake tasting and together we'll help you discover the perfect flavors for your cake. Read our guidelines for cake tasting now! 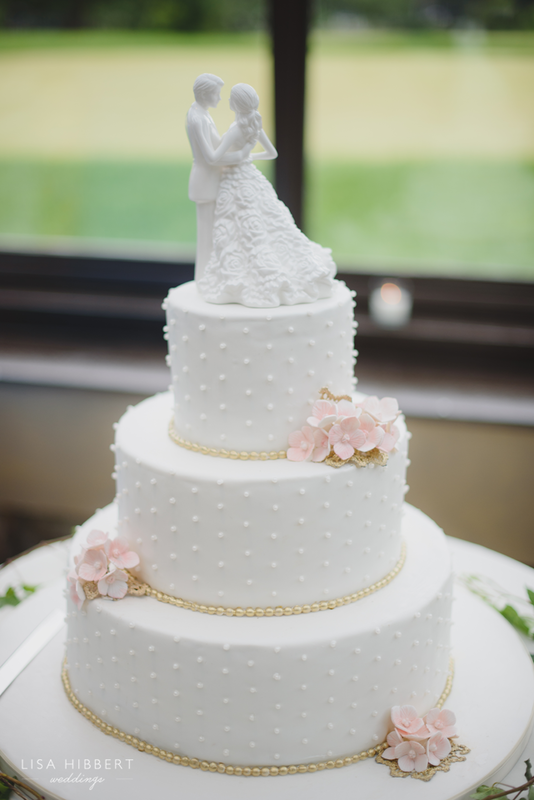 Your Wedding Day: Celebrate your exquisite cake! Imagine the excitement of seeing your cake for the first time! 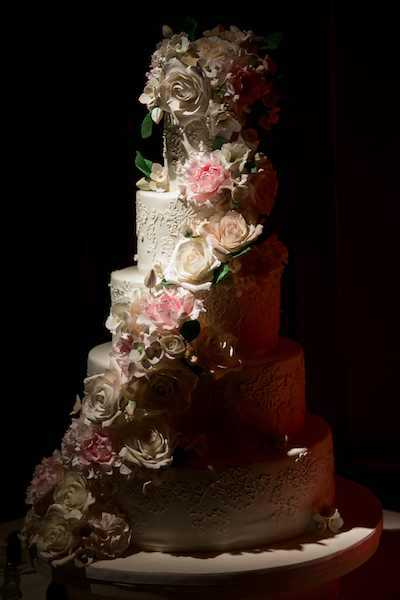 What started as a fledgling idea, your stunning cake will be ready for you at your reception venue. We'll put the final touches on your cake and place it in the perfect position, ready for you as you walk through the door. As we create your cake, this is the moment we picture ... bringing your vision to life with personalized details and exquisite artistry. Hello and welcome! My name is Denise Smith, and I am the creator of My Daughter's Cakes. I fell in love with baking around age 4, when my mother (of Italian heritage) sat me at the kitchen counter and taught me how to make raviolis from simple ingredients. As the years went on, my love for baking and fascination of the workings of doughs and batters grew even stronger. After enhancing my pastry skills at the French Culinary Institute in New York City, I began a mission of self-taught sugar work. My goal was to create beautiful cakes just the way I loved them as a child: moist, fresh, flavorful, and delicious. After a very rewarding 28-year legal career, I made My Daughter's Cakes a reality. What do I love most about my work? At the top of the list is meeting you! 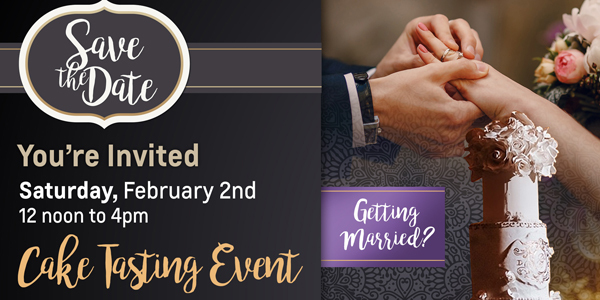 Getting to know you, your fiance and family, if a few come along for the cake tasting. This is one of the most important aspects of My Daughter's Cakes and is one of the founding principles: taking care of our clients. Your wedding is more than a day, it's the beginning of your lifetime together. Nothing makes me - and our team at My Daughter's Cakes - more honored than to be a part of your beginning in very sweet way. What else do I love about my work? Creating. Whether it's working with our baker on new cake or filling flavors, or figuring out how to take elements from the inside of a venue and translate them into an amazing cake design - it's all a process that is truly enjoyable. At home, I love spending time with my husband, Tim, and our beagles, Sophia Grace and Thomas, as well as cooking for friends and family. Fun Fact: Affectionately referred to as the "Director of Structural Engineering and Transportation," my husband, Tim, can be found in his workshop crafting all of our heavy-duty cake boards and beautiful cake stands, as well as lending his structural expertise for challenging cake designs. Tim also literally "takes the cake!" as my delivery partner. In his off time, Tim is well-known for his cocktail prowess, much to the delight of friends and family. Tim creates his own bitters from scratch, which sometimes find their way into our cakes or fillings! "Denise listens to what you want and goes above and beyond to please." Hello and welcome! My name is Denise Smith, and I am the baker and owner of My Daughter's Cakes. My love for baking began around age 4, when my mother (of Italian heritage) sat me at the kitchen counter and taught me how to make raviolis from simple ingredients. As the years went on, my love for baking and fascination of the workings of dough and batter grew even stronger. After enhancing my pastry skills at the French Culinary Institute in New York City, I began a mission of self-taught sugar work. My goal was to create beautiful cakes just the way I loved them as a child: moist, fresh, flavorful, and delicious. After a very rewarding 28-year legal career, I made My Daughter's Cakes a reality. When My Daughter’s Cakes was in its embryonic stage, I decided that helping couples like you with their wedding cake would be at the core of its foundation. Choosing the right baker is very important to the success of your special day and you need to feel excited and confident with your decision. 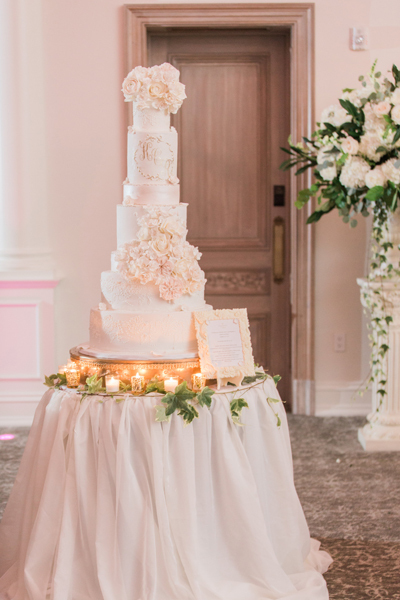 As the centerpiece of your reception, your cake should be truly delectable and something that you feel proud to show off and to serve to your guests. Your cake must transcend beauty and taste. With the focus on you, it is my pleasure to work closely with you to make your vision a sweet reality. So why My Daughter’s Cakes? I am honored that you are considering My Daughter’s Cakes for such a special occasion! 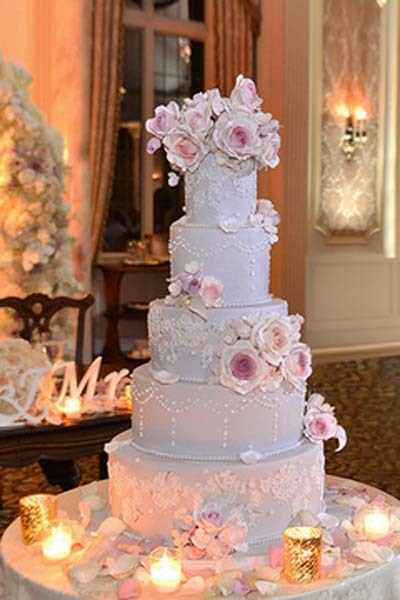 My Daughter’s Cakes is known for its personal service, fantastically delicious cakes, and high quality of the beautiful and artistic wedding cakes that we create. We are not a high-volume bakery, or even a local cake shop that churns out 15 or so cakes on a weekend. We are a small, artisanal cake parlor that focuses on you, your cake, and maintaining the highest quality in taste, design and standards our clients have enjoyed and trusted for many years. 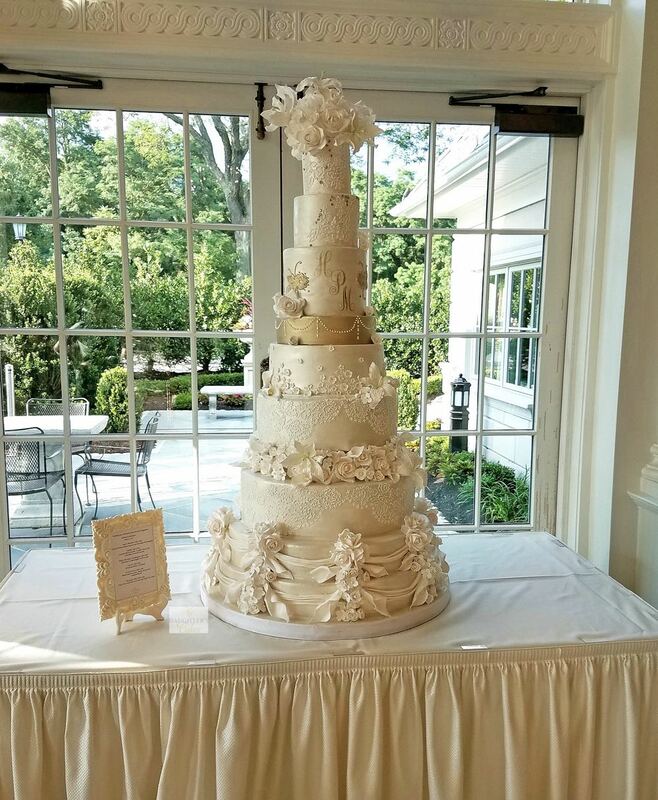 My Daughter’s Cakes is a fully-licensed private bakery and cake parlor located in Bergen County, New Jersey, convenient to all major highways in the New Jersey-New York City metropolitan area. Hours are by appointment only. 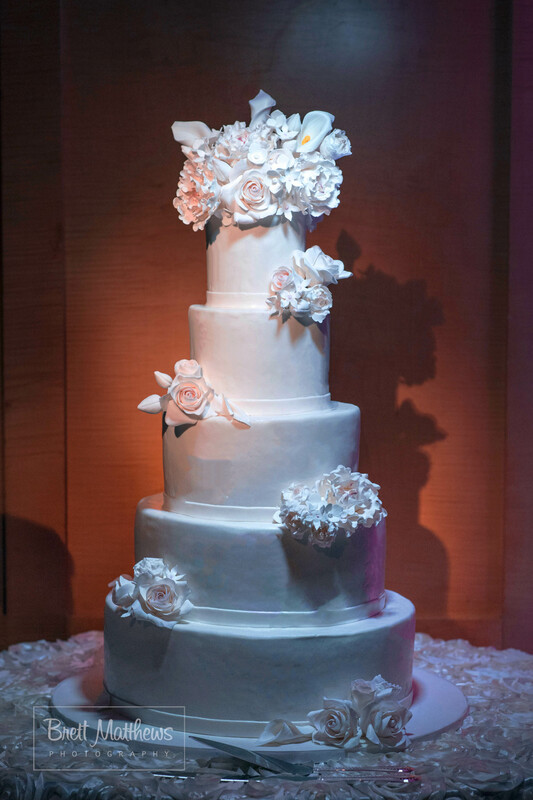 From consultation to delivery, you and your wedding cake receive my personal attention. You know exactly who's handling the precious details of your cake. Because of this and the time and care taken for our cakes, we accept a very limited number of cakes per weekend and only one very large or detailed cake per date. Inquire about availability and schedule your consultation today. My Husband Takes the Cake! A seamless production of any kind requires a strong support team and the making of a wedding cake or other custom cake is no different. Affectionately referred to as the "Director of Structural Engineering and Transportation," my husband, Tim, literally "takes the cake!" as my delivery partner. You know that coveted homemade, fresh delicious cake-goodness that you crave? The kind of cake that you just have to have a second piece of? The kind your guests talk about long after your wedding? The kind that you can still taste when you look back at your wedding pictures? Well, it’s waiting right here for you to try. It is my pleasure to present to you cakes and fillings that contain real fruits, high-quality chocolates, aromatic vanillas and pure flavors. Simply put, we don't take short cuts. It all starts with high quality, authentic ingredients. Add in measurable amounts of knowledge and skill in the science of baking, blend a whole lotta love and a goodly amount of obsession into the mix, and you’ll end up with a baker that does right by your cake. European based buttercreams for a light taste, rich custards, ganaches, compotes or “crunches” for added flavor and texture. Honest-to-goodness scratch baking that incorporates time-honored baking techniques to achieve unbelievably delicious results. I invite you to taste the difference. What’s your vision? Rich, dark chocolate cake? Or light vanilla? Apple Spice? Or maybe Pineapple Coconut? Feeling adventurous? Go for ancho chili chocolate or chocolate cabernet or chardonnay lemon! From the traditional to the unique, together we’ll explore extraordinary flavors for a taste beyond compare. "By the time we left the tasting we ended up with a ton of unique flavors and I could barely decide which to choose because I loved them all. 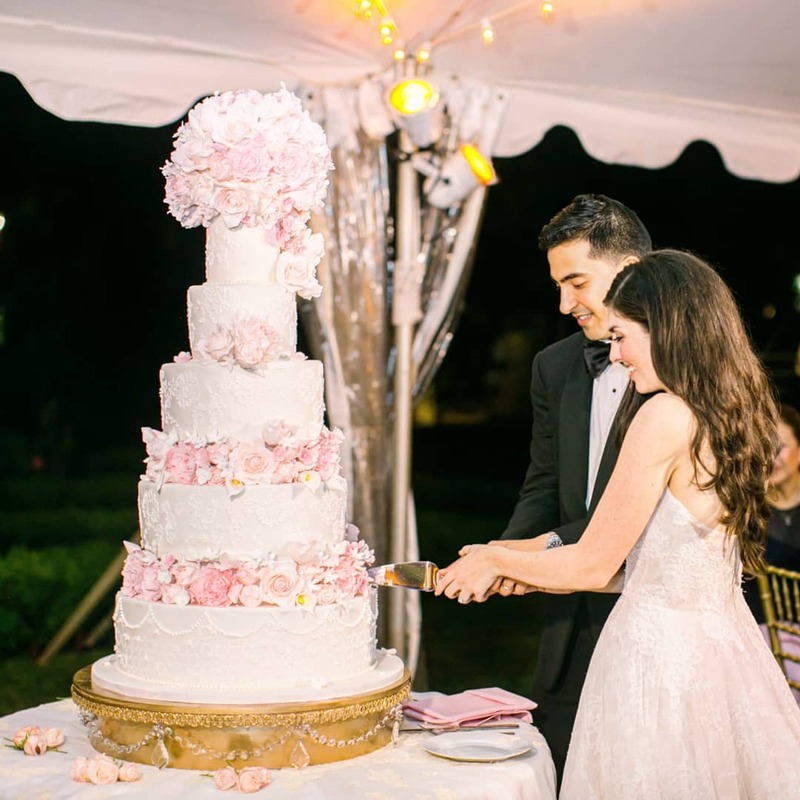 The cake choosing became one of our favorite parts of the wedding planning process; completely stress-free." Just as no two couples are alike, I believe that no two cake designs should be alike. 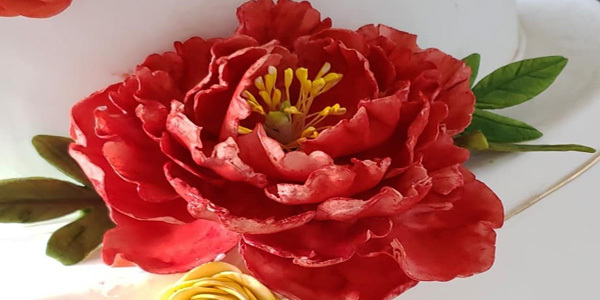 Handmade sugar flowers, intricate lace piping, stenciling, or hand painting, this is just the beginning of the types of decorations that can adorn your custom wedding cake. 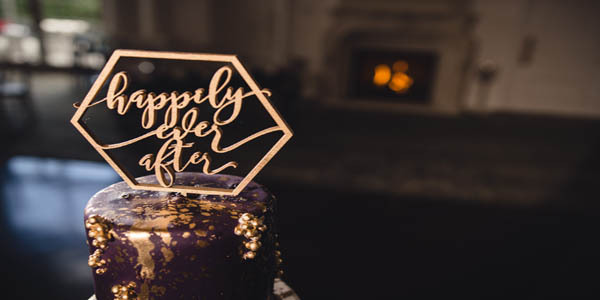 Specifically designed and created for you, your cake will be the ultimate expression of your individuality or of the new life created when you say "I do." 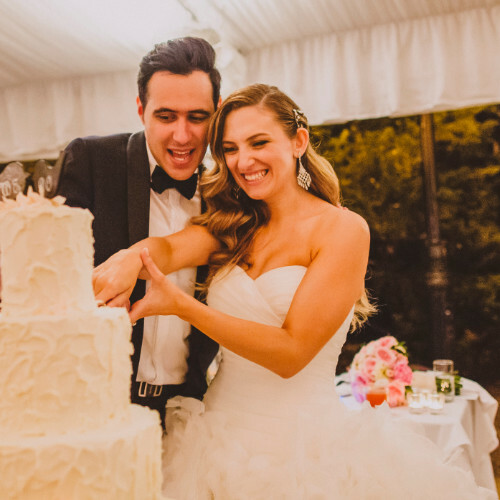 Meet a few of our couples and find out the inspiration behind their wedding cakes. "Wow! The cake was amazing. You did an awesome job. We've been recommending you to everyone!" "It was truly a magnificent work of art. The detail was exquisite. Everyone raved about the cake!" 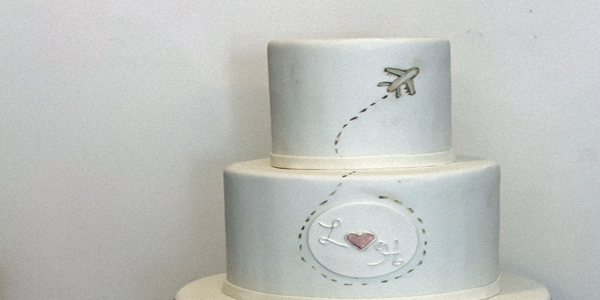 "It is exactly the experience I thought I would have with my wedding cake designer." "It was a showstopper that none of my guests could stop talking about." 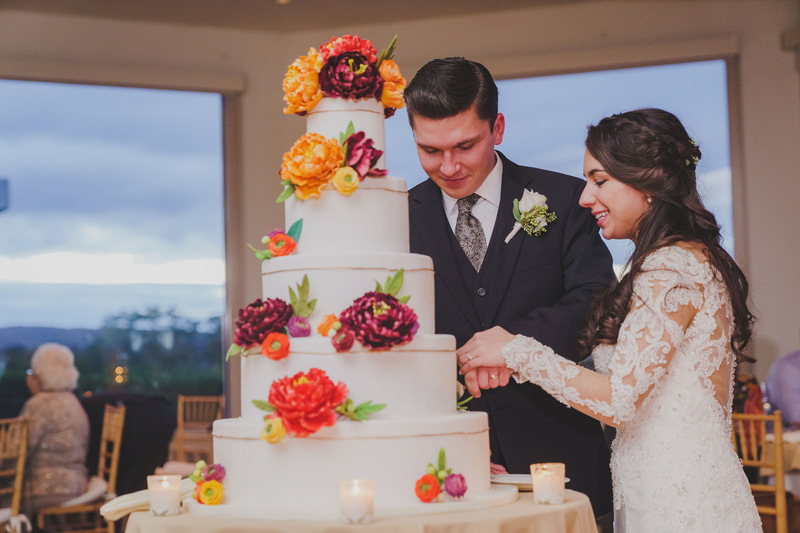 "We were really blown away by how beautiful and intricate it was – not to mention fresh and delicious!" "Denise helped us with bringing our design concept to life and she had such a great grasp of our vision." "Thank you for the cake. It was amazing. Everyone loved it!" "I had to touch the sugar flowers to make sure they weren't real!" "Our gorgeous cake! We loved it!! 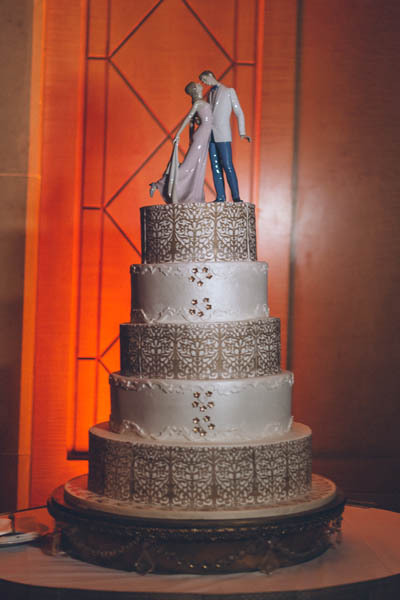 I can't stop looking at these [pictures]"
Many of our guests and even venue staff have said that it is the most beautiful cake they have ever seen. "OMG it ... was amazing! Thank you so much for making my dream cake come to life. We loved it!!!" "Thank you for making the most beautiful wedding cake! It was a pleasure working with you!" Thank you again for everything you did to make our day so special! Everyone is still raving." 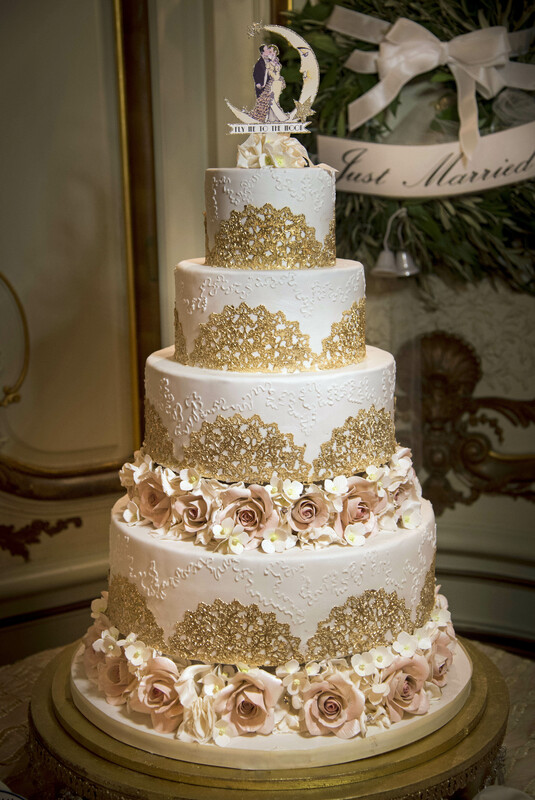 "Not only was our cake delicious it was so stunning in person-every detail was so intricate & beautiful!" "The Crowd Went Wild. 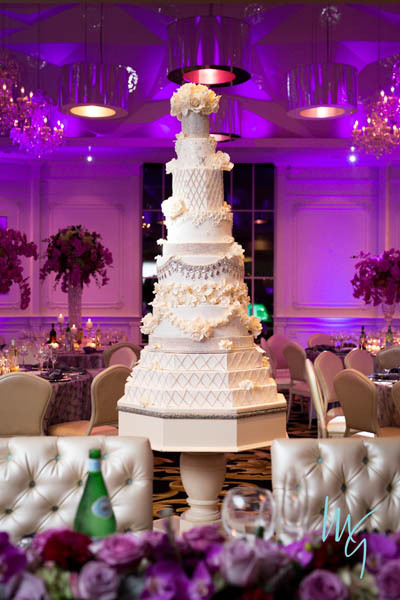 Many guests said the cake was the highlight of the wedding." Where in the World Will Your Love Take You? Join the sweetest place around! 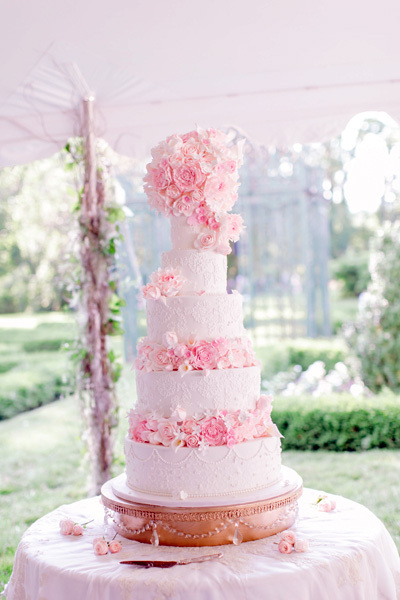 "When I first saw the cake, I was absolutely stunned. I had never seen anything like it before but it was everything that I could ever have dreamed of in a cake." Our Hours: Available by appointment only, seven days a week. Appointments may be limited during wedding season. Interested In A Cake Tasting? I’m happy to answer any question or confirm my availability for your event. 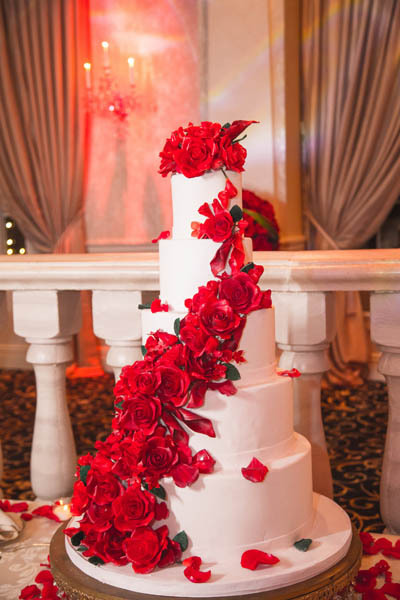 I provide private consultations and cake tastings in my Bergen County cake parlor by appointment only. Tastings are prepared especially for you, in the flavors and textures that you’re looking to savor at your wedding or event. 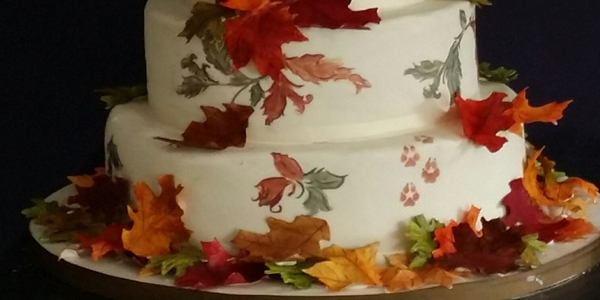 "Our experience with Denise and My Daughter's Cakes was beyond expectation from our first consultation to the days after the wedding."